Hikvision’s range of Smart IP cameras has been boosted with the launch of the ultra-high-resolution DS-2CD4065F-(A) network box camera. This latest design boasts a large 6 megapixel sensor aimed at delivering razor-sharp 3072 x 2048 images at 25 fps. This model is capable of delivering real-time full HD 1080p video streams at 60 fps, and sustaining up to 20 concurrent live-view channels. As this camera delivers high-resolution real time images, the reproduced 6.0 megapixel video at 25 fps will be especially suited to applications requiring highly detailed surveillance. For instance, rather than blanketing a parking lot with low resolution VGA cameras, a single DS-2CD4065F-(A) would be able to cover the entire area. The high resolution and quality lenses also mean there is sufficient detail to capture license plate information, and clothing and faces, information that would certainly help law enforcement. Furthermore, its 1/1.8” progressive scan CMOS sensor helps to ensure true colour reproduction of images captured day and night. The DS-2CD4065F-(A) also shares a raft of high-end features with Hikvision’s existing Smart IP cameras, including 3D digital noise reduction, super WDR, auto-switching ICR and electronic image stabilisation. 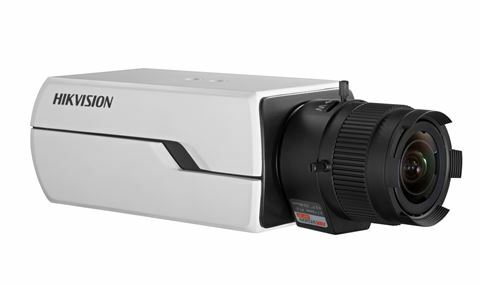 Its advanced encoding algorithm streams images at a very low bitrate without compromising quality, compared to traditional cameras, the new Hikvision Smart camera enhances image quality by up to 30% while minimizing the system’s load and storage requirements. Smart IP camera technology also delivers increased detection functionalities, such as face detection, audio detection, line crossing detection and video quality detection, so as to automatically trigger an alarm in case an exceptional event happens. The DS-2CD4065F-(A) may also be optionally fitted with Hikvision’s renowned HV3816D-8MPIR and HV1140D-8MPIR ultra-low-light MP vari-focal lenses. Both lenses feature 8 megapixel resolutions, IR correction and a minimum aperture of 1.5, allowing users to choose from a focal-range of 3.8-16 mm with the HV3816D-8MPIR or 11-40 mm with the HV1140D-8MPIR. The (A) version – DS-2CD4065F-A also includes features for enhanced performance, reliability and cost effectiveness. The additional ABF (auto back focus) feature automatically adjusts the CMOS position to focus the camera to maintain clear, sharp images and compensates when changing from colour to b/w mode or when switching the IR cut filter in or out.